Zenith Cosmetic is a leading Invisalign provider working across Nottingham and London, providing Invisalign services at our private dental clinics as led by our Aesthetic Dentist, Dr Edward Young. Invisalign is a revolutionary alternative to traditional braces, using invisible aligners that are custom made to fit your teeth, allowing you to get the smile you’ve always dreamed of. During your initial consultation, our Invisalign dentist will look at the final result you want to achieve from Invisalign so that we can recommend the best course of action for you. Take a look at the information below to see what’s involved in the Invisalign treatment, and learn how you can get straight teeth without braces. Invisalign is a teeth-straightening treatment we offer in Nottingham and London. It is an extremely discreet way of straightening teeth using a series of nearly invisible, removable aligners that are custom-made specifically for your teeth. Part of this teeth straightening procedure involves replacing your aligner every two weeks, and as you do so your teeth will move – little by little, gradually moving towards the projected final position. You can get the beautifully straight teeth you’ve been dreaming of in a safe, and clinically proven way without the need for ‘typical’ braces. The Invisalign treatment is used to correct your smile - whether you have a misaligned bite, gaps in your teeth or a crooked smile. The great thing about Invisalign is that the aligners are removable and nearly invisible, plus they are custom-made to move your teeth little by little thereby keeping any discomfort to a minimum. There’s no need to question how to get straight teeth without braces, Invisalign is the answer. Who Is A Suitable Candidate For Invisalign? As discussed above, Invisalign is suitable for patients with a range of orthodontic problems, including a misaligned bite (overbite, underbite, crossbite), gaps in your teeth, overcrowding or a crooked smile. 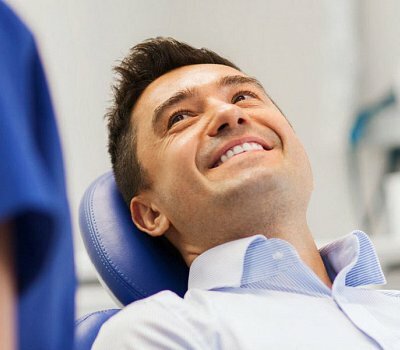 The treatment is designed for those patients who want to straighten teeth without braces or for those who may be a little more image-conscious. It’s also worth bearing in mind, you need to uphold good hygiene standards with Invisalign; making sure to brush and floss regularly and to clean your aligners. If not, you may experience bad breath. You can be confident that at Zenith you’re in the hands of our experienced Invisalign Provider, and Invisalign Dentist. We'd suggest you book an appointment to see if you are suitable and to determine whether this is the best treatment to meet your needs. How Does Invisalign Work? What Does The Invisalign Procedure Involve? Our Invisalign Dentist Dr Young will get you in for a consultation in Nottingham, and once he has confirmed you’re eligible for Invisalign, he will take photos, X-rays and digital scans, or a dental impression of your teeth. He will use these to create you a bespoke treatment plan designed to get the best results. Dr Young will then order you a series of invisible aligners to wear every day and change at home – on average every 1-2 weeks. You’ll have to remove your aligner to eat drink, brush and floss. As part of the Invisalign treatment, you’ll also need to visit us in Nottingham every 4-6 weeks so that we can make sure all the necessary movements are occurring. We want to provide you with the very best treatment here at Zenith so that you’re left with a beautifully straight smile of your dreams. Unlike other teeth straightening methods available, the side effects of Invisalign are minimal. You may experience some tenderness of teeth and gums, but generally, the discomfort is minimal. If you don't wear your aligners for the recommended hours per day you can affect the ability to finish on time and get your desired results, so you need to make sure you wear them. Overall, results and patient satisfaction for Invisalign is extremely high. If you want a more flawless smile, without the look or feel of typical braces, this treatment could be perfect for you. You’ll receive regular appointments at the Clinic to monitor progress and receive your new aligners. After finishing your treatment plan, retainers will be required to maintain your new smile. The cost of Invisalign comes down to your specific requirements and what you want your end result to be. Get in touch for your consultation, where we can discuss the procedure and pricing in further detail with you. So why not start the journey to creating your dream smile today? Book a consultation with our dental surgeon to find out more. On average, Invisalign takes between 12 to 18 months but we can discuss this with you during your consultation. Invisalign is highly suitable for both adults and teenagers with minor misalignments or crowding. Unfortunately, not every tooth straightening procedure is suitable for everyone. The best thing to do is to organise a consultation, and we can discuss your suitability in more detail. Teeth straightening can be an expensive process, however, your choice should be judged in-line with your needs and what you want to achieve. If you’re worried about costs, you can contact us to find out what options are available to you. Does Invisalign take longer than normal braces? No! It’s generally a quick treatment. However, the time your journey takes you is something you’ll discuss with our orthodontist in Nottingham. Is finance for Invisalign available? Yes we do offer Zenith Finance, allowing you to split the cost into monthly payments of which we offer 6 months interest free. If you would like to chat more about Invisalign, and our finance options available, get in touch with our experienced team at Zenith Clinics today to arrange your consultation. Will I Need To Wear A Retainer To Prevent My Teeth Moving Again? After teeth straightening procedures, most doctors recommend the use a retainer to prevent teeth from moving back toward their initial position. You can discuss this in greater detail with our Invisalign dentist. Does Invisalign Work With Veneers/Crowns? It is difficult to say, as this is assessed on a case by case basis. The best thing to do is to speak to one of our dentists here at Zenith. Where Are Your Invisalign Treatments Offered?